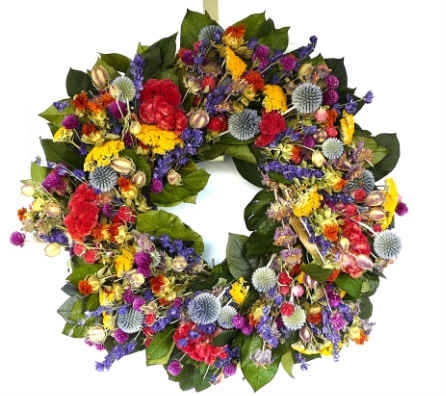 Our best selling wreath is now available in a small size -- perfect for bedrooms, powder rooms, and other spaces where a "garden" would be appreciated! 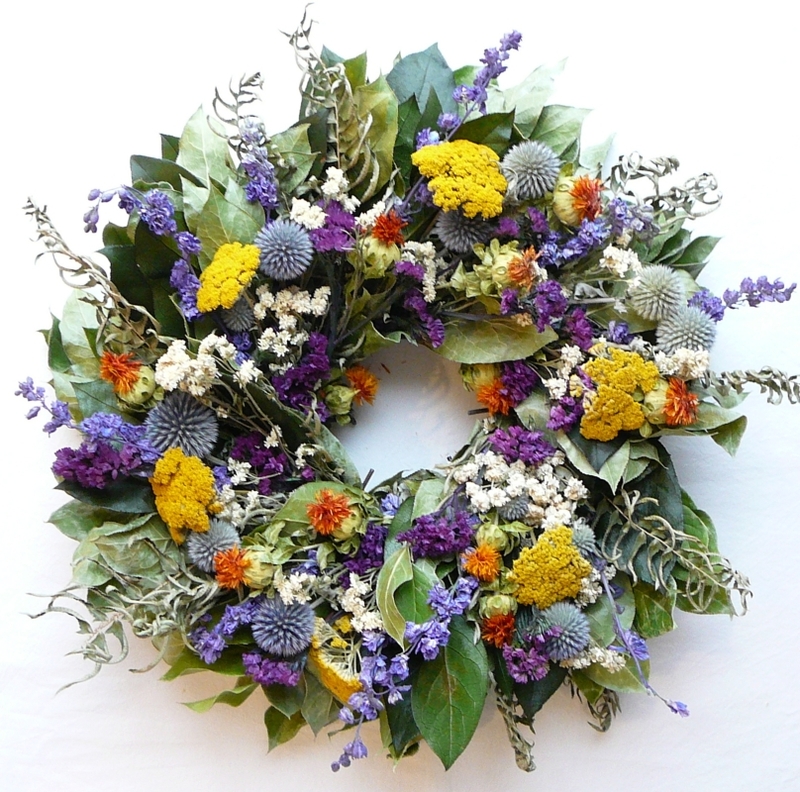 This bright and exciting assortment of dried flowers will brighten any room! 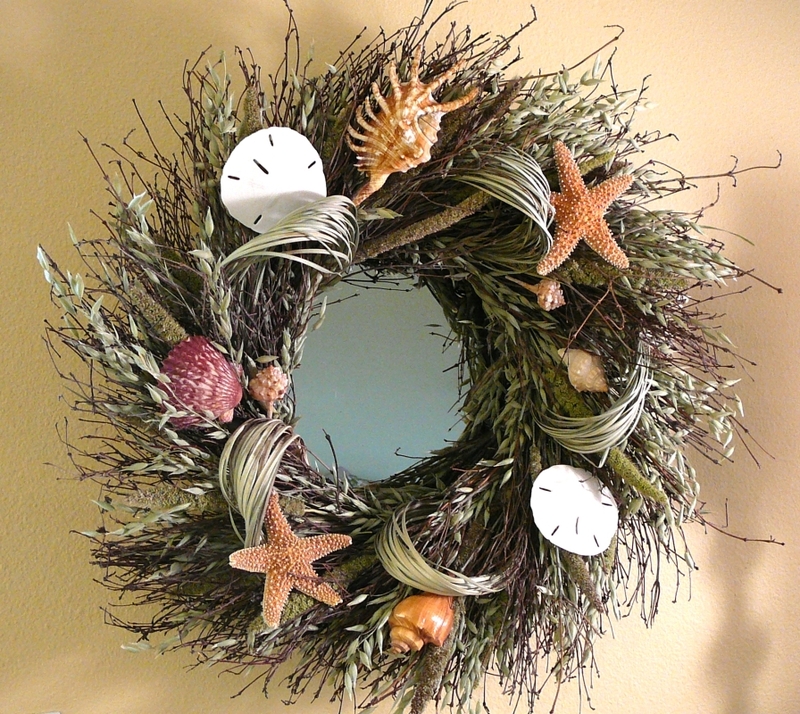 Marvelous mirror for any beach house or coastal location! The ingredients will be very attractive indefinitely if hung where they cannot get wet or be effected by steam or direct sunlight. 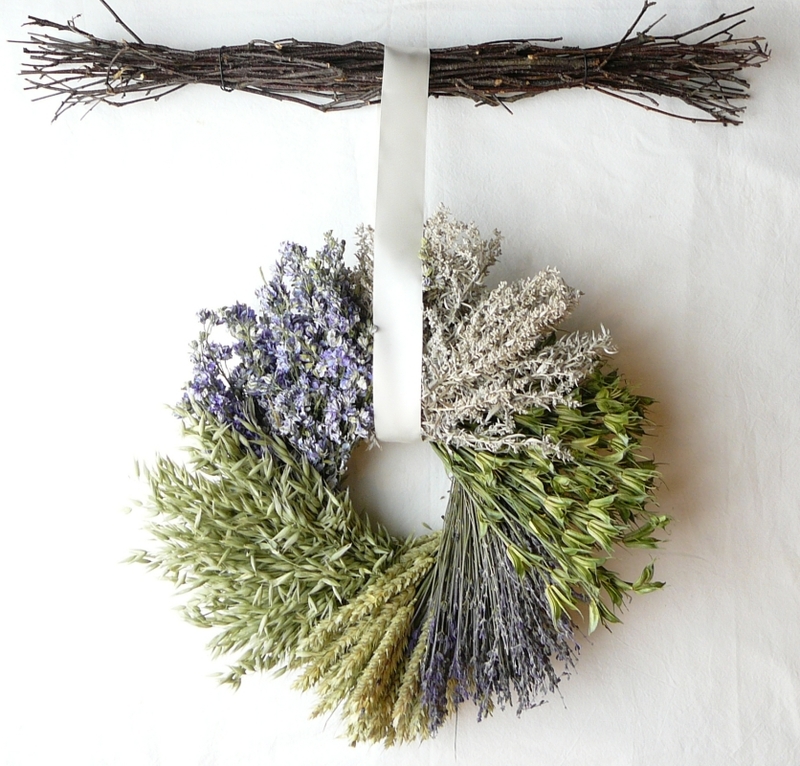 This design is one of a series of decorations celebrating the calming forces of nature. The circle has been the universal symbol of cosmic unity, wholeness, infinity, and the cycle of life since ancient times. 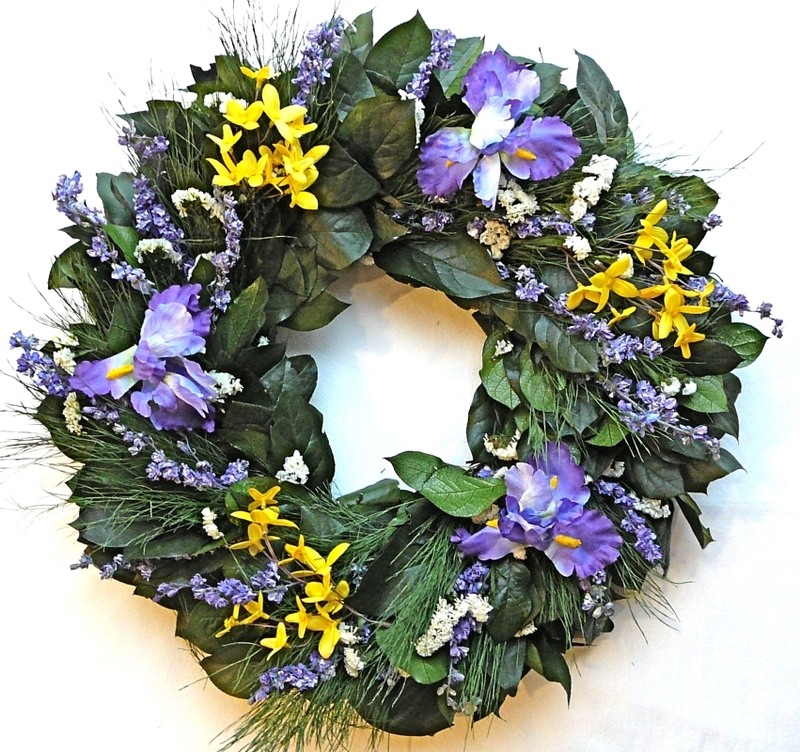 It is presented here with the added benefit of "natural aromatherapy" as the sixth element is lavender, which is well known to instantly relieve stress and make people feel calmer.